I think he means he needs to pick up Season 1. And our No Game, No Life: Zero CE is close to selling out already. And that's my cue to order it. Already got the Sentai CE, but I need the UK release as well. Do you even need DanMachi for Sword Oratoria? It's a Spin off, not Season 2, or not? You kinda do, I'd argue you can watch NGNL0 without the main series and even there you lose on some appeal. But on Oratoria the whole point is having it as a side view on what is happening on the main series, giving more insight on certain events. Hm.. . I had thought it was for Index and Railgun were to each other, but I guess it's closer connected to each other then. The price for this also went down again. All my spare cash is being put aside for the April Fools Day sale. Likewise, just hoping the items I want will be in stock for then. 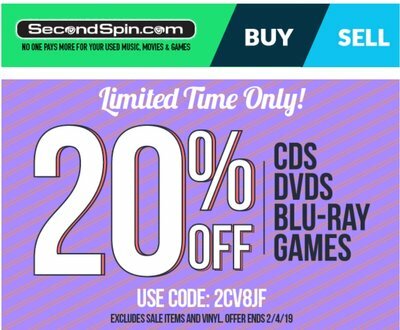 That's the problem with SecondSpin, I've had about 20 titles in my 'favourites' for about 18 months and whenever there's a decent sale on they're never in stock. I did take advantage of the 20% discount and picked up Gundam Build Fighters for about £27 inc p&p. I got very lucky last April for the most part and managed to snag a fair amount of titles. But it is a game of luck really, or getting to the item you want before someone else snags it. honestly I wait for the % off + free int shipping. 5 of 30 or 30 of 300€ on Rakuten. Aujourd'hui seulement : jusqu'à 30 € offerts ! Reserved to the first 1800 users. The site is French, but they also have some English friendly stuff. And all sorts of other stuff. Shipping is a bit steep, but of you have multiple things from one seller it's okayish. Obviously, this happens 4 days after I placed a three digit order the first time in over 4 years. Guess I'll try to chalk it up to, that it was just on time. Who knows who may had have that S;G Box on their favorites list and snatched it up in a sort of game of luck lottery this second spin seems to have.